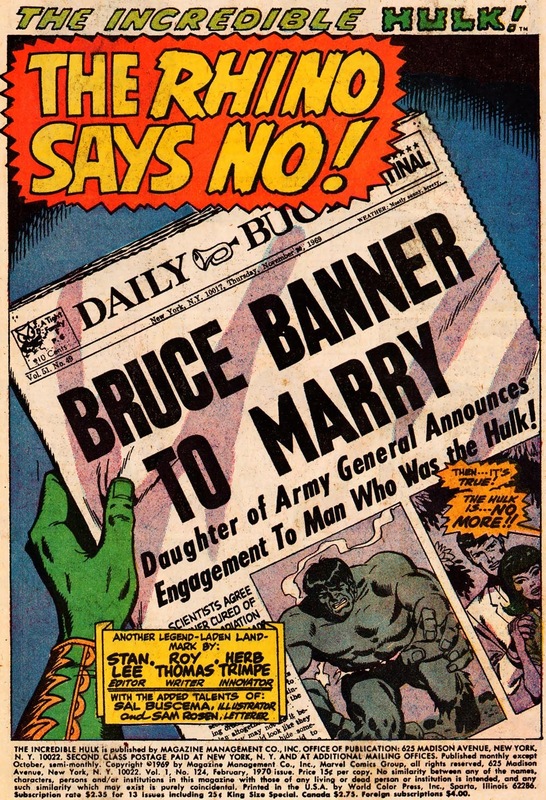 Greetings, my Green-Skinned Groove-ophiles! 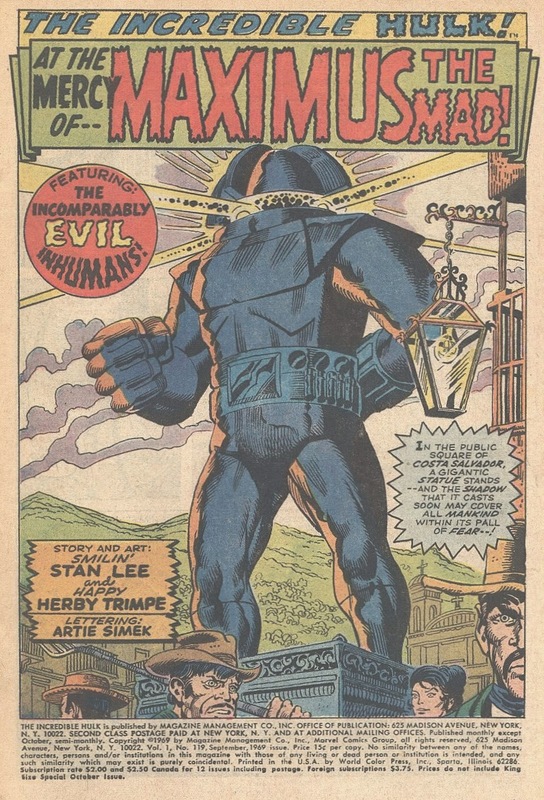 Ya know, one thing Ol' Groove hasn't done enough of here on the Diversions is rap more about Happy Herb Trimpe! 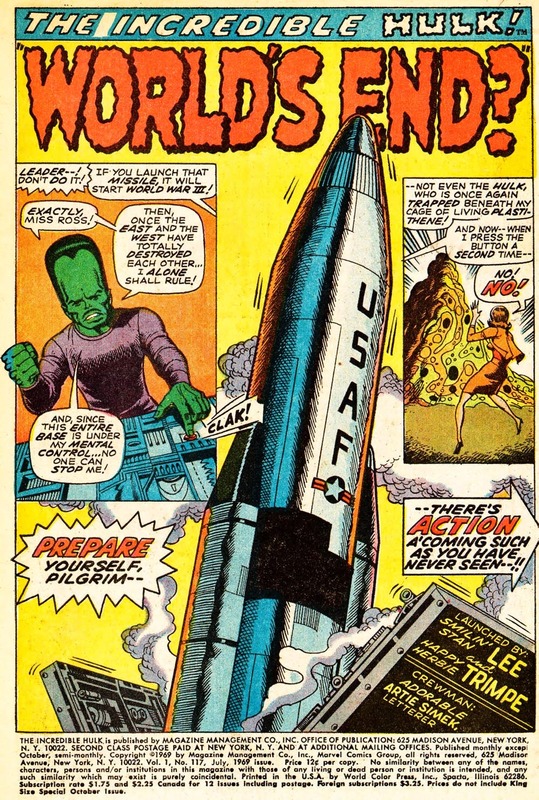 Herb's art was one of the coolest, and most reliable things we could enjoy as we trucked on through the Groovy Age. 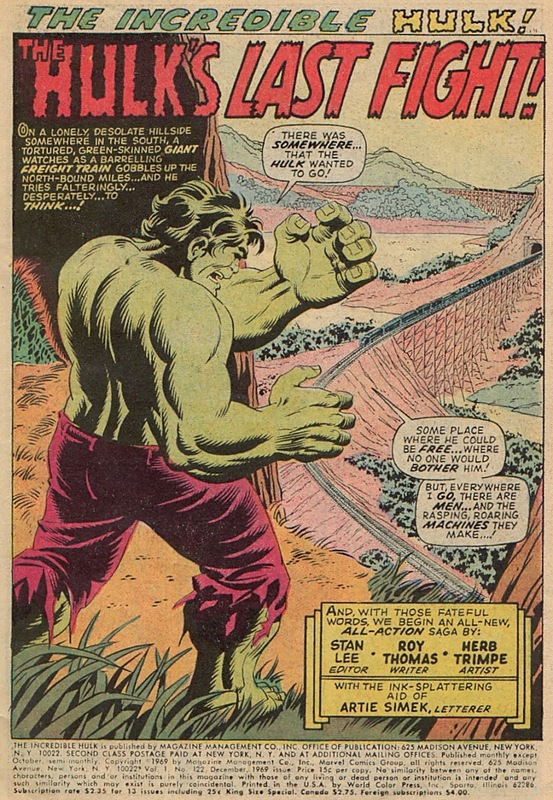 While Mr. Trimpe worked on lots of cool comics (including Iron Man and Ant-Man in Marvel Feature), he's best known for his long stint on The Incredible Hulk. 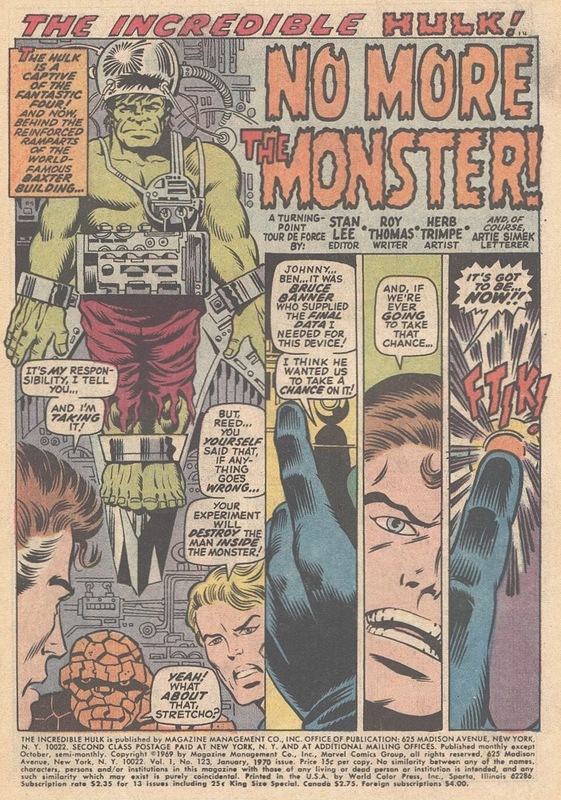 Herb's Hulk-ish history goes way back to Ol' Greenskin's days as a co-feature in Tales to Astonish, where the Happy One would ink Marie Severin's pencils. 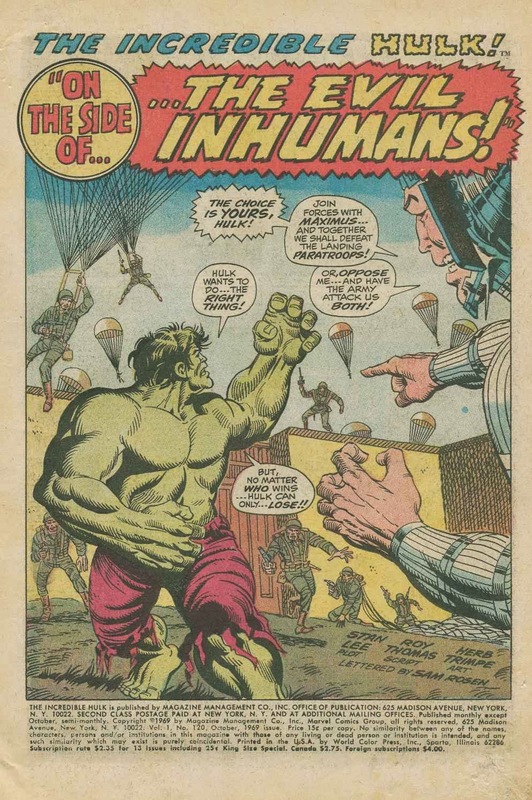 Not long after TtA morphed into the mag we know and love as The Incredible Hulk, Herb started penciling over other layout artists, until finally, with ish 110 (September 1968) Mr. Trimpe took over penciling (and often inking) for nearly every issue through Incredible Hulk #193 (August 1975)--not to mention a filler or two after that. 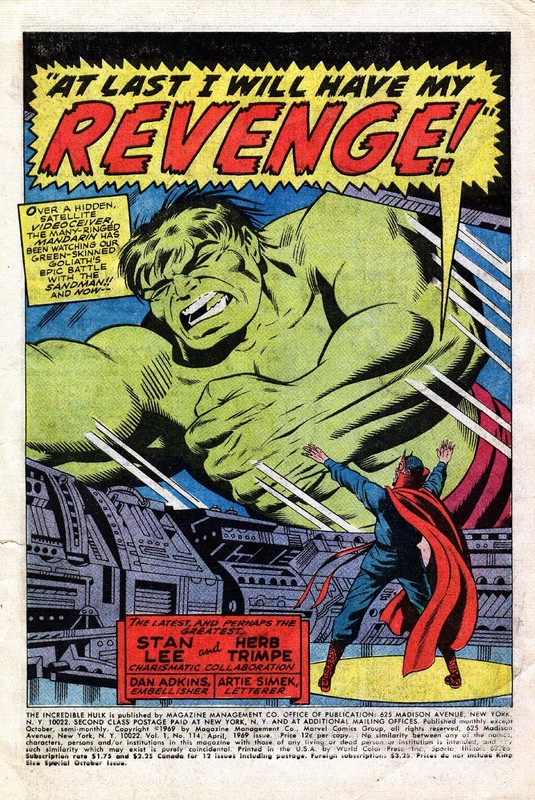 Is it any wonder why the names Herb Trimpe and the Hulk became nearly synonymous back in the good ol' days? 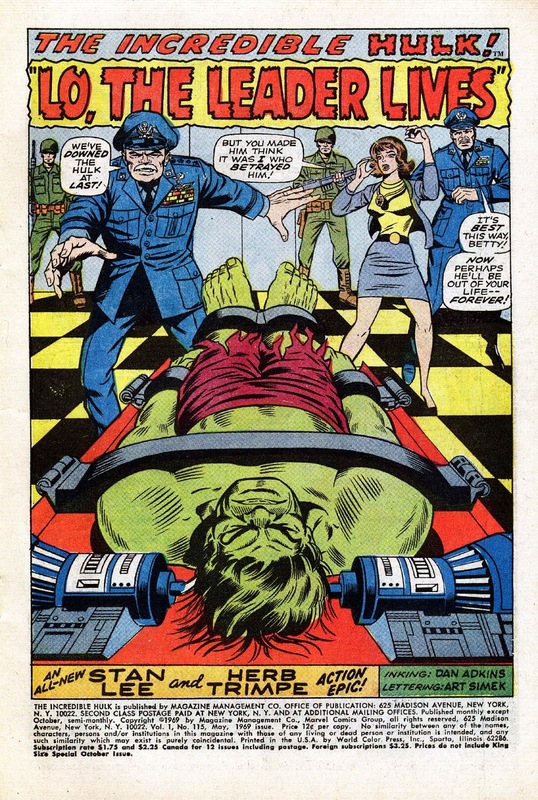 Today we're gonna dig on Mr. Trimpe's splashes from Incredible Hulk issues 110- 128! 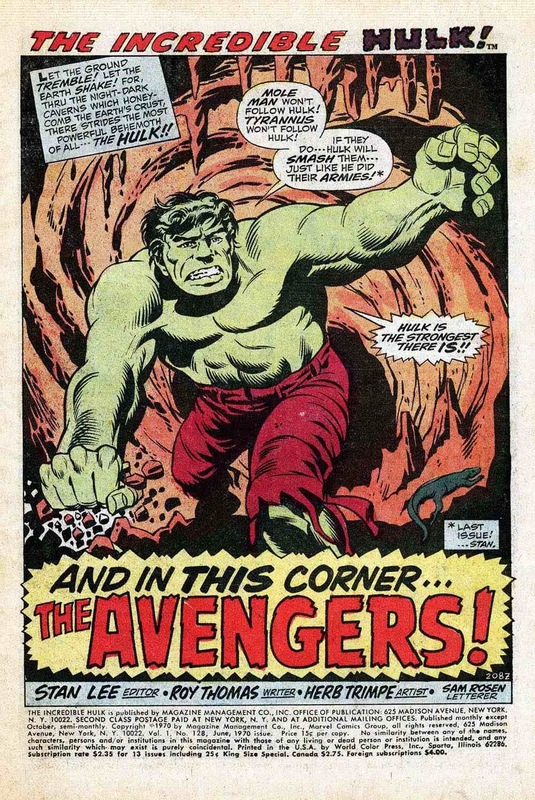 Layouts for the next big Hulk artist! 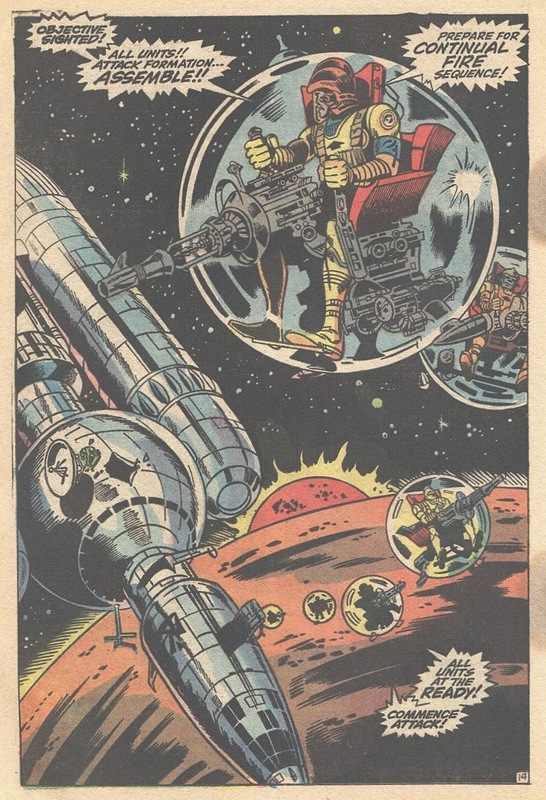 Man, that's what comics are supposed to look like, innit? 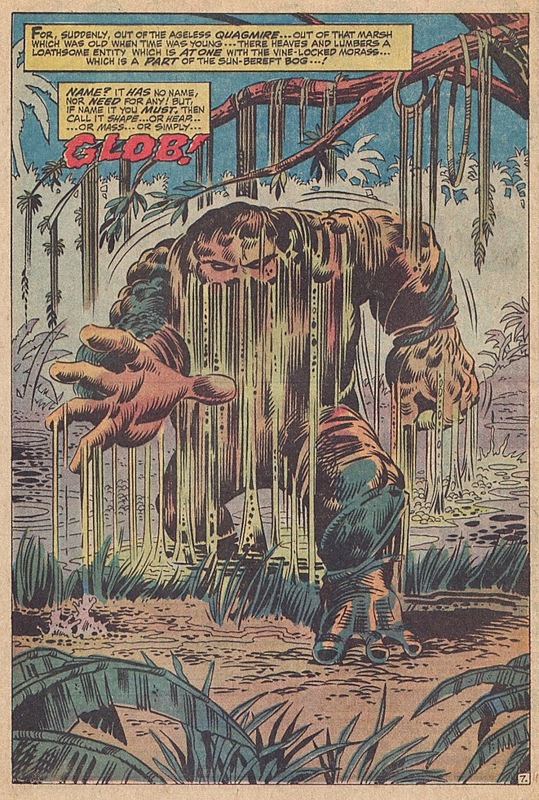 Wanna see the rest of Herb's Hulk splashes? Ya gotta let me know! Yeah, yeah, yeah! 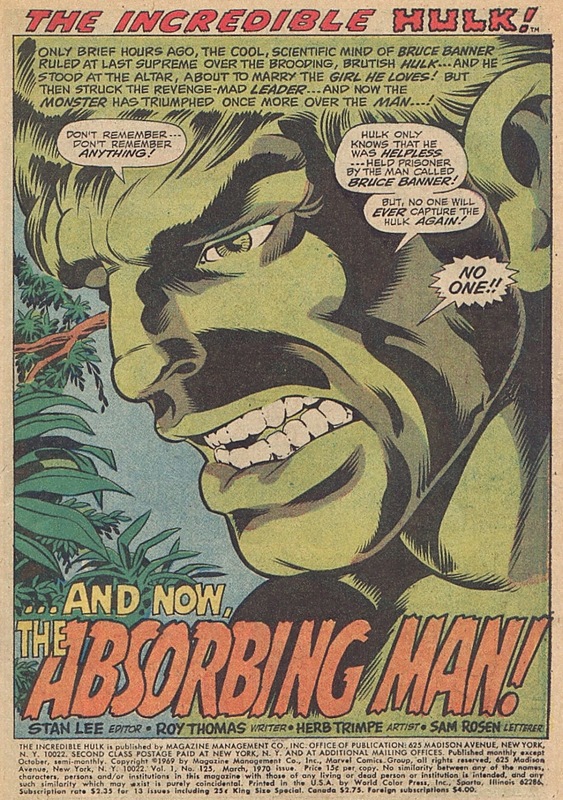 I definitely want to see more Herb Trimpe! I have to say many of these have absolutely beautiful coloring jobs, too. Especially that "Where Fall the Shifting Sands?" splash-- love the blue highlight. 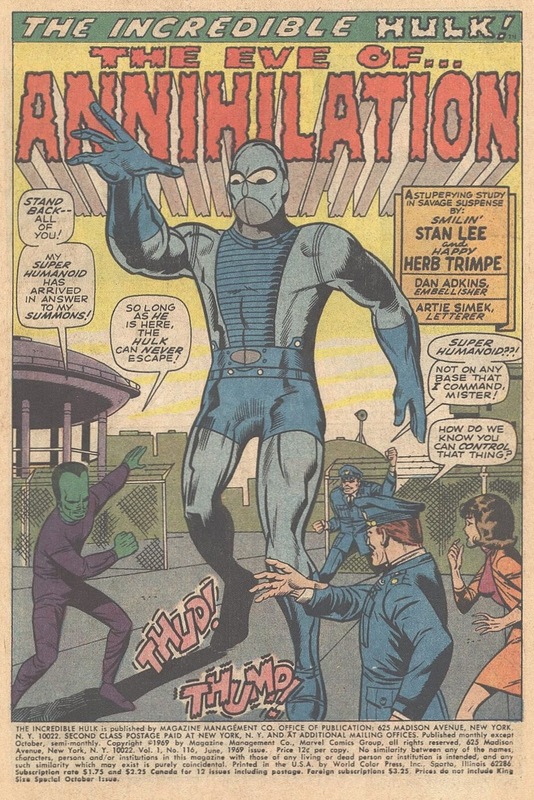 I'd forgotten how nice Dan Adkins' inks looked on Herb's stuff. 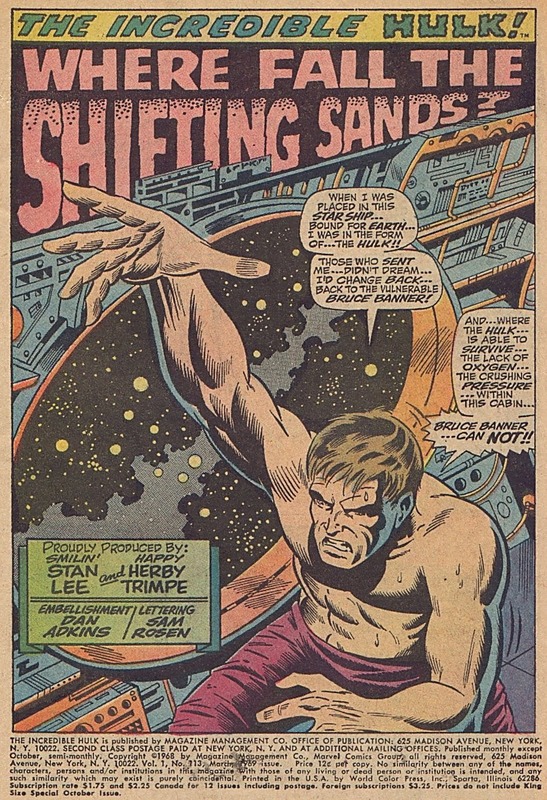 Interesting, Groove, that you picked so many examples of Herb's patented foreshortened 'open hand' shot ( look at: ' Shanghaied In Space ' / ' The Brute Battles On ' / ' Where Fall The Shifting Sands ' / ' The Eve Of Annihilation ' / ' Glob ' ) When I was a kid, learning to draw, I drew hands like that without realising where it was coming from! 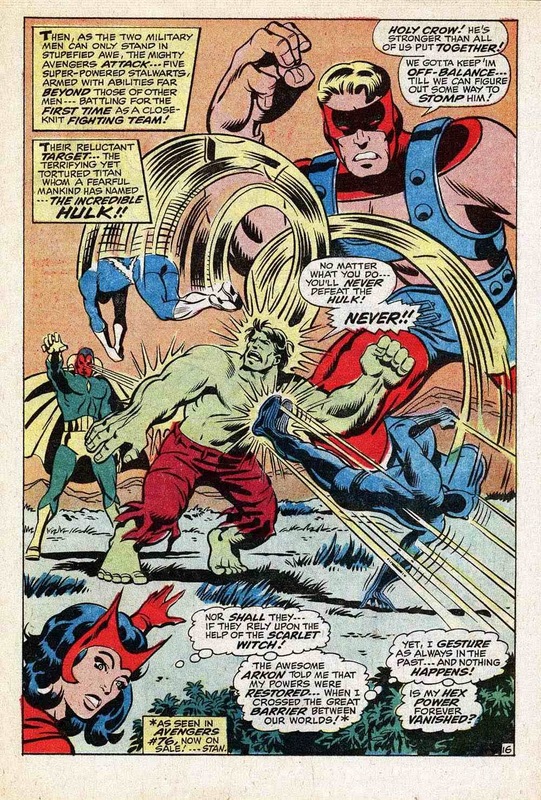 To be honest, I've always been a bit ambilavent about Trimpe's art: Those splashes for ' A Clash Of Titans ' & ' ...And Now The Absorbing Man ' are art with a capital A, but that Avengers splash is clumsy and stilted, with each figure looking that they belong on different pages, and the anatomy of Bruce Banner on ' Mogol ' is all over the place. 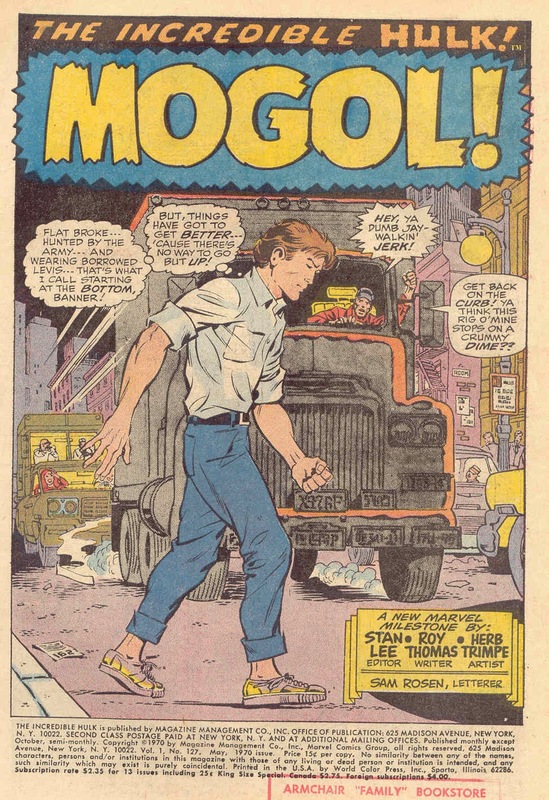 BUT, I certainly couldn't do what Herb does, and I think like most artists, he occasionally suffered from unsympathetic inkers and being forced to work in the Marvel style, often against his artistic instincts. 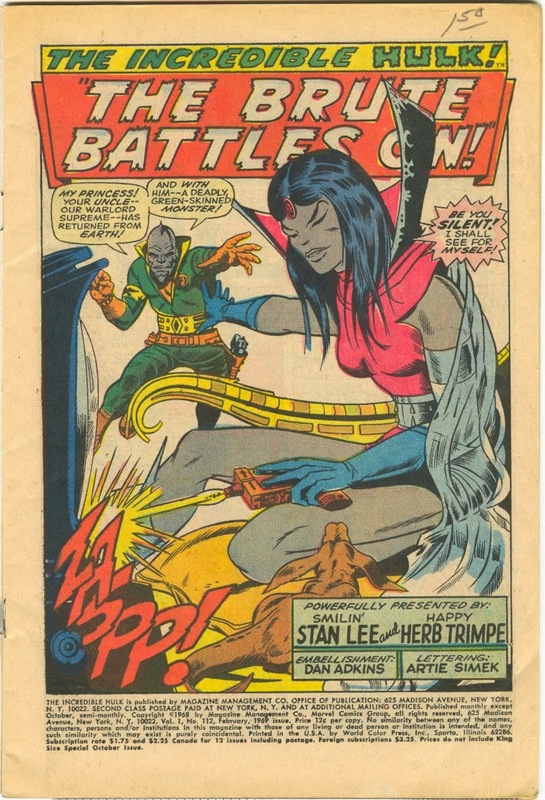 For instance, see the 2nd series of Savage Tales back in the mid '80's; He did a strip called ' Skywarriors ' which is a revelation, ' cos he draws in his own style..
His great work on Killraven is often overlooked because of what followed, but I thought his intensity helped a series that had a flagging start and meshed well with McGregor when he arrived soon afterward. 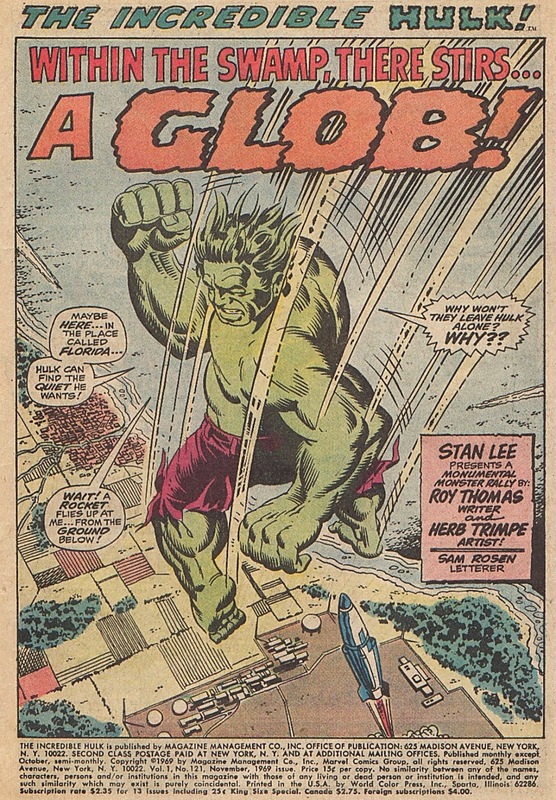 More Hulk splashes Groove! 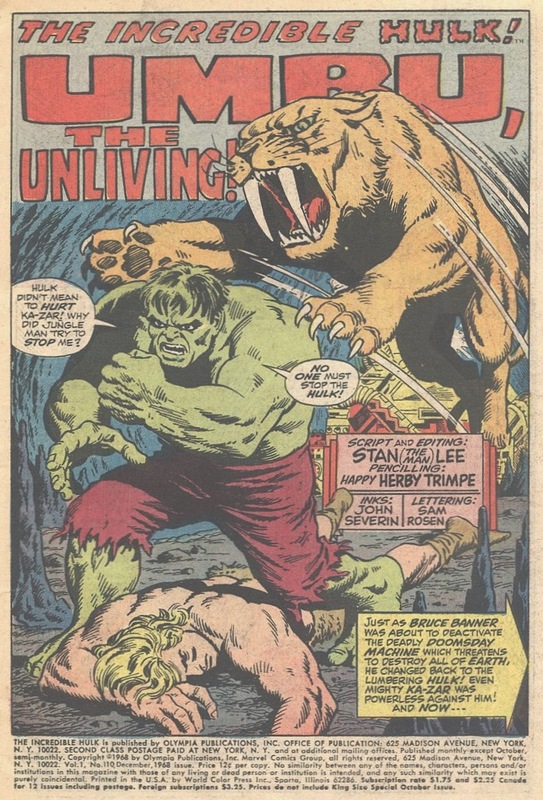 Yeah Happy Herb Trimpe is the de facto favourite Hulk artist for many people. 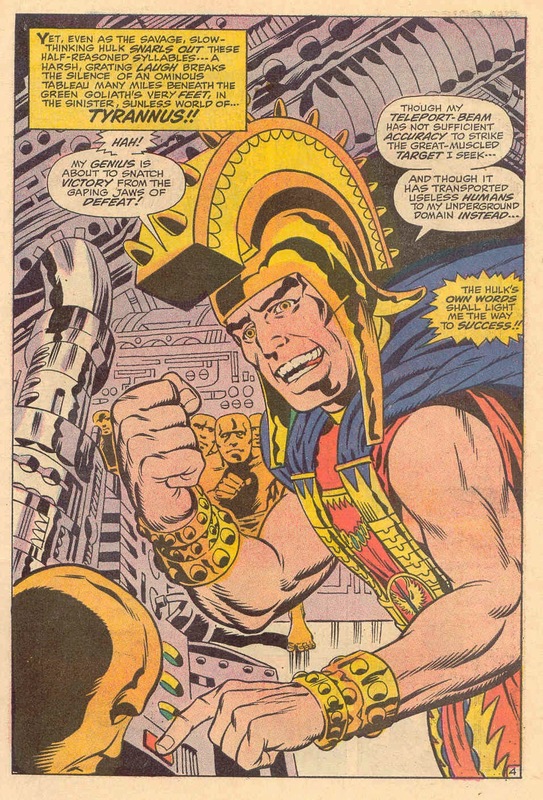 Gotta love how he draws those oversized hands - even Goliath has an oversized right mitt! 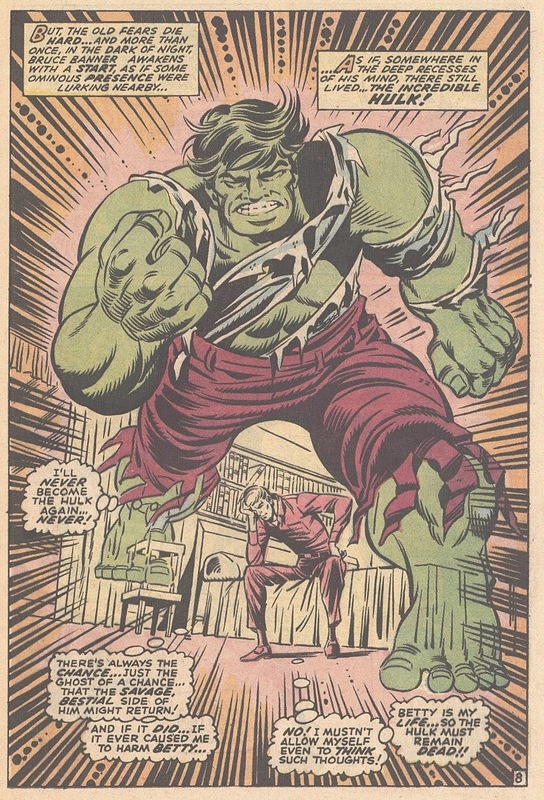 - Mike 'Hulk smash puny critics' from Trinidad & Tobago. I have a question, I have one of the books you posted about. The book has a paper cover not glossy. 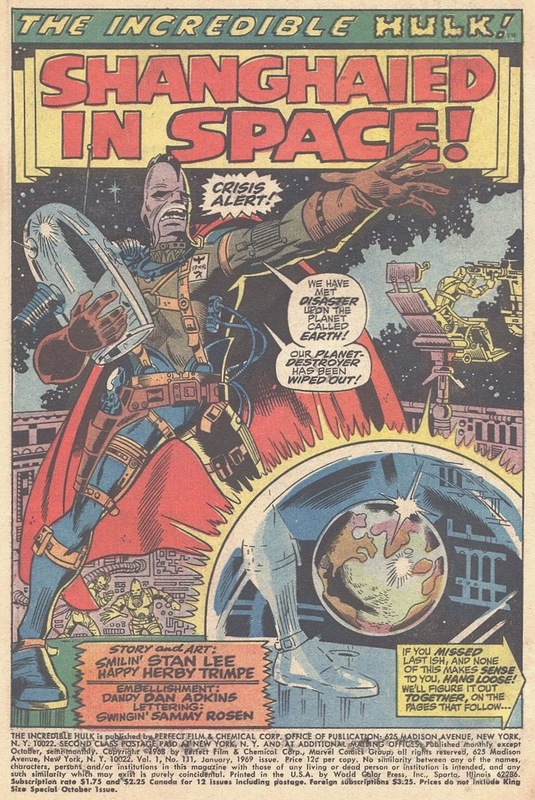 Is this original.or does that mean it's missing the cover also have a Superman one. I have pics but don't know how to post them here. 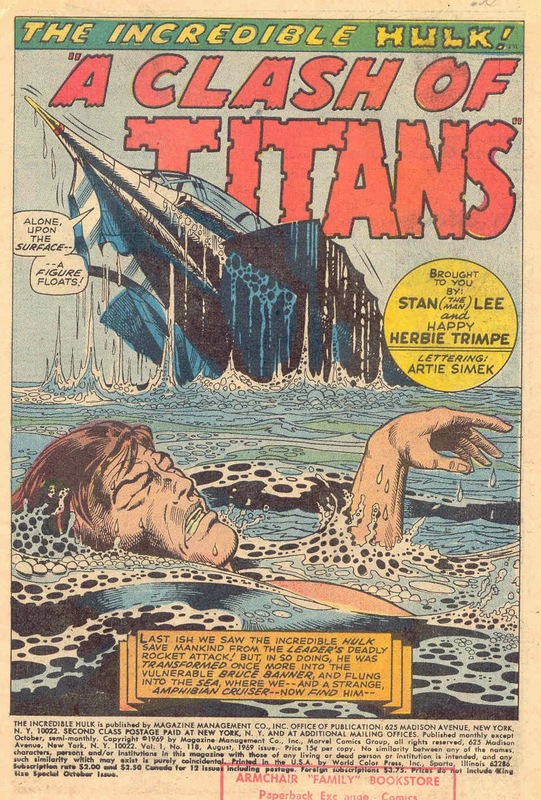 I seem to recall getting a few comics around this time that had non-glossy covers. 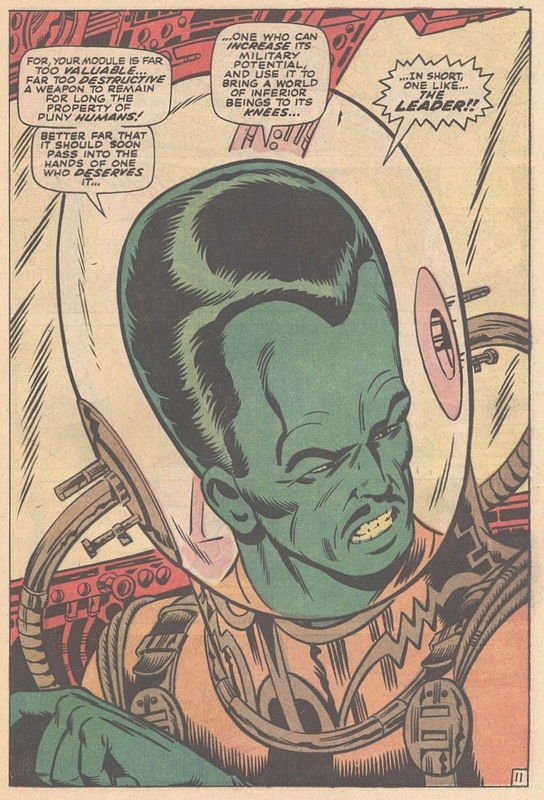 Avengers #81 and Charlton's Jetsons #1 immediately come to mind. Was this a fluke? A paper shortage? A printer's error? I don't know. 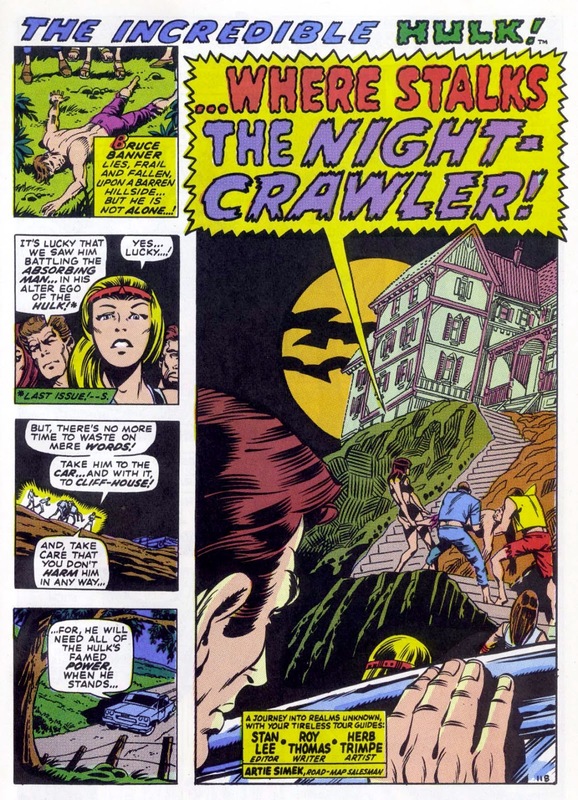 It's especially true since Charlton did its own printing, unlike Marvel and DC whose comics were printed by World Color Press. Anyone else out there experience those non-glossy covers?